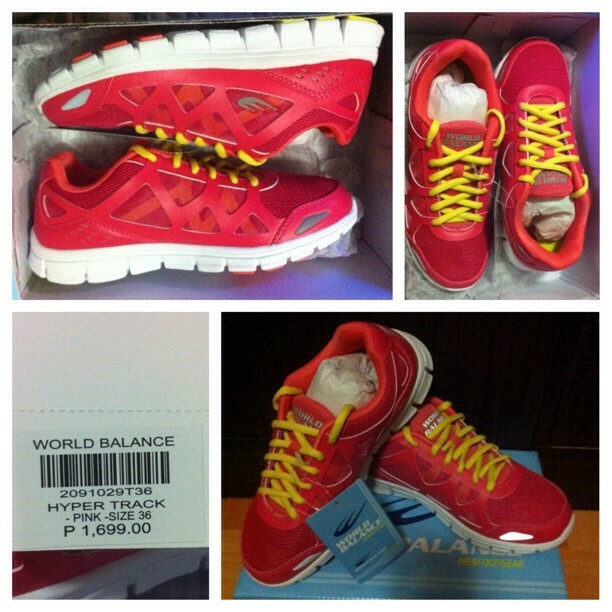 PHILIPPINES, NOVEMBER 2013— For ladies who to take running into the extreme by doing trail runs will surely love the benefits of a lightweight and reliable traction shoe as World Balance launches Candid, a new line of performance shoe designed for trail running. Candid is a product of the innovative footwear technology developed by World Balance to ensure a comfortable run while at the same time providing excellent traction while traversing the rough trails. “Candid is an ideal partner for ladies who want nothing else but to feel comfortable while they’re out on the run,” says Carlo Castronuevo, head of product marketing for World Balance. “The shoe’s breathable air mesh upper helps keep the feet cool and well-ventilated,” he adds. 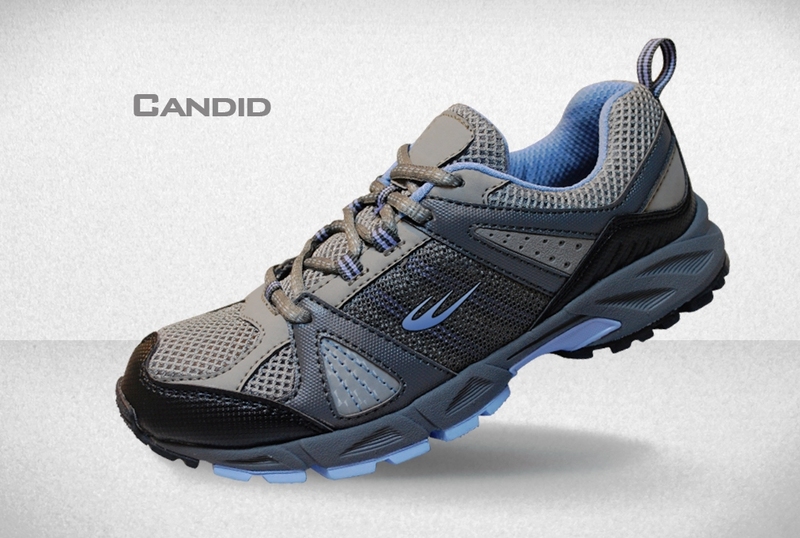 Another notable feature of Candid is its reliable traction as it is equipped with a rubber outsole that prevents the shoe from frequent slips against the rough terrain, thereby preventing the wearer from nasty falls or sustaining injury. Candid weighs just 8 ounces (size 37) and is available from 36-41 (EUR sizing). It sells for around P1,499 and is available at World Balance stores and SM, Robinsons, and various department stores nationwide. Towards the latter part of this year, we have received communication from the people of World Balance regarding release of various shoe products that will cater to runners. Worth only Php1,699 (for the women’s model), this might be the one for most runners who are on the look-out for not too expensive running shoes. My initial impression- it is light, has comfy insoles and looks quite alright! For it’s price, it is truly super worth a try. More feedback about this pair soon as I get to use it to the hilt! Meanwhile, let me leave you first with the official press release from World Balance. “The No-Stitching Technology put forth by World Balance in creating HYPER TRACK is designed to keep away any irritants that the wearer might experience, such as loose threads,” says Carlo Castronuevo, head of product marketing for World Balance. “Instead of the traditional method of stitching the upper material, HYPER TRACK is cut using laser. The laser acts to ensure that the upper stays intact and delivers a smooth and comfortable run,” he adds. Aside from the No-Stitching Technology, the upper also features a premium microfiber cloth toe box for added comfort as well as a heel counter and overlay for durability and support. The midsole comes with a resilient rubber foam that gives the shoe extra cushioning while the California lasting provides durability. As with most World Balance shoes, HYPER TRACK is equipped with TERRA-SOFT Insole Technology that is comfortable, gives extra cushioning, is shock-absorbing, and is washable. The outsole comes with phylon which is known for being lightweight, highly responsive, and having a spongy resistance. It helps deliver a smooth, lightweight running experience as well as absorb tremendous impact. It also comes with a rubber outsole that provides excellent traction and durability. 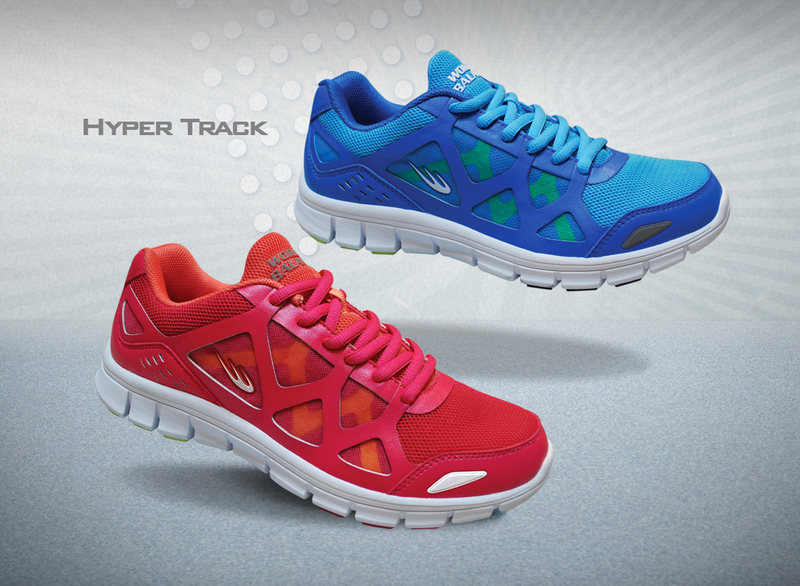 HYPER TRACK weighs a very light 7 ounces and is available from 35-40 (EUR sizing) for women. It will sell for around P1,699 and will hit the shelves of World Balance stores and SM, Robinsons, and various department stores nationwide starting October 18, 2013. 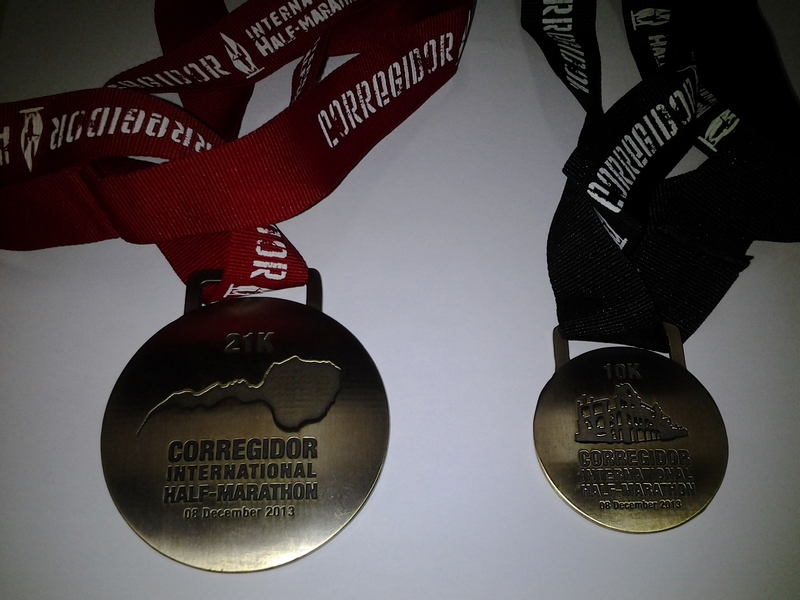 And of course, here are the finisher’s medals of the warriors who will get to complete the Corregidor International Half-Marathon or 10k Challenge races on January 12. Cheers! 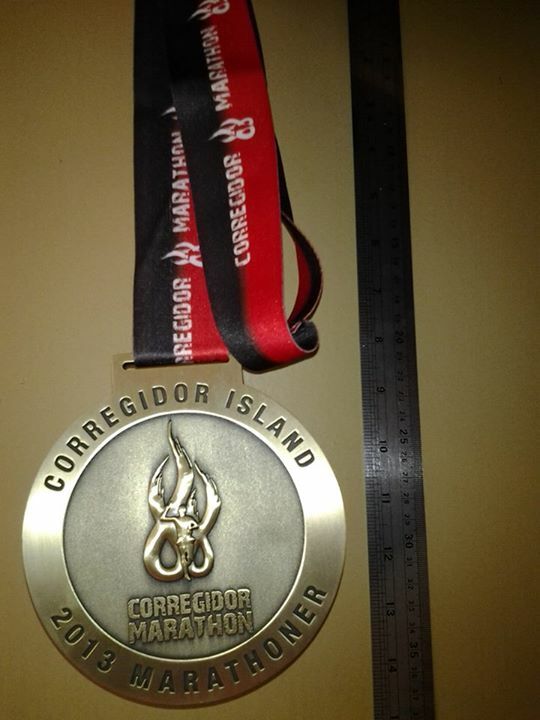 To view CORREGIDOR HALF-MARATHON Event Details, click HERE. There have been unconfirmed talks which say that the event, usually held during the second month of the year, will be rescheduled to sometime in March(?). Various speculations have been going on too for the simple reason that promotions, even updates, have been noticeably scarce – very different from what the community have been used to in the past. 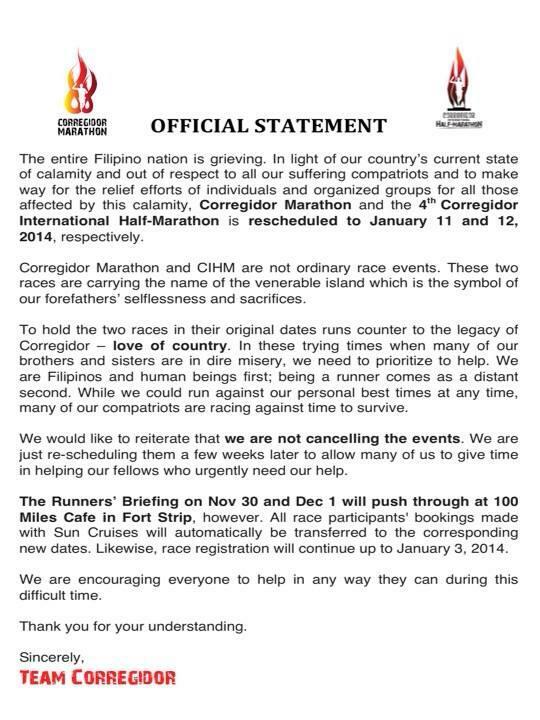 Well, no official announcements have been released yet but everyone who have incorporated this race in their 2014 training or race calendar will be wise to come up with an alternative option just in case. Hopefully we get to receive official news very soon! UPDATE: Latest we heard, event might not even take place at all for 2014. But then again, this too is UNOFFICIAL. When the official word will come out, my cards say that it won’t be too long. 😉 In my honest opinion, it will really be truly wise to look for an alternative option at this point. Cheers! After Run 800 last January 2013, 7-Eleven now celebrates the opening of its 1000th store with RUN 1000 on January 19, 2014 along the CAVITEX, more known as the Coastal Road, with assembly at the Aseana City in Parañaque. 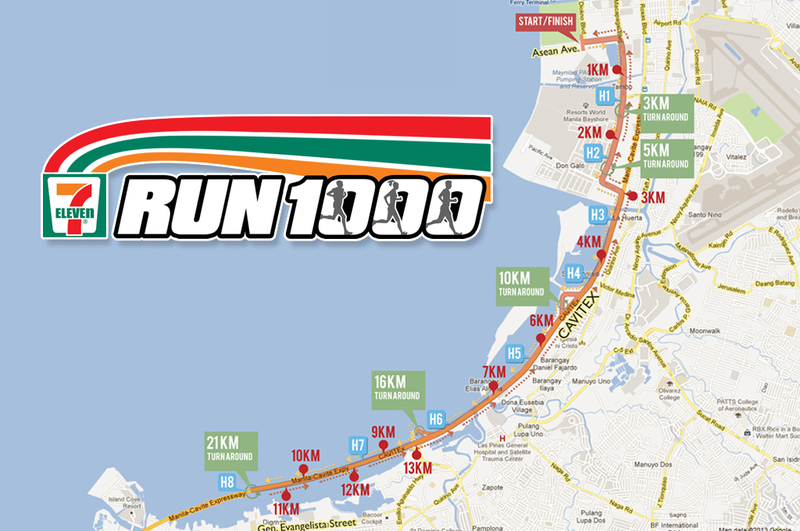 Runners joining the 10k,16k or 21k half-marathon will enjoy this course set along the coastal road – CAVITEX, wherein some of its lanes will be closed just for this race. Those joining in the 3k and 5k categories can look forward to an organized race course along Macapagal Ave. This is made possible with 7-Eleven’s system of allowing SELF-SELECTED WAVE STARTS, enabling them to run with people with the same skill or speed (or with friends!). 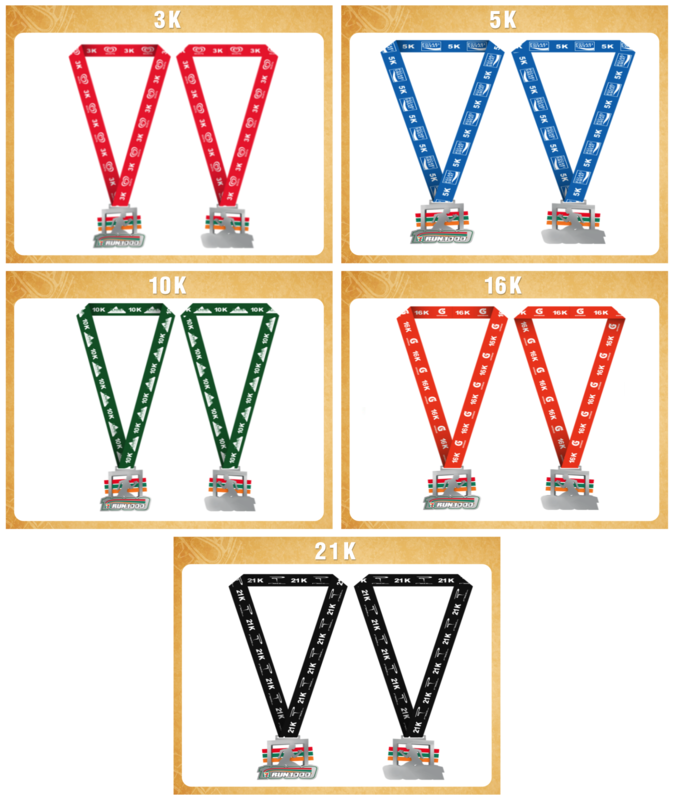 To make this run more exciting, the top 3 per age category will receive medals. Top 3 Filipino males and females in the 21k will be sponsored to join the Beijing International Marathon, all expenses paid. 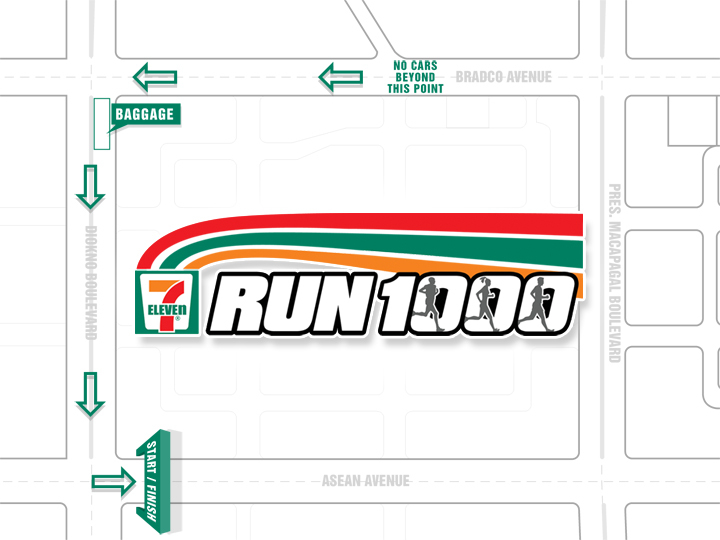 To complete registration, runners can pay reg fees at the 7-Eleven nearest them. Take note of the 7-Connect number and pay at any 7-Eleven store within 24 hours. Race Kits can be claimed on the date indicated on the receipt, and from the same store where payment has been made. 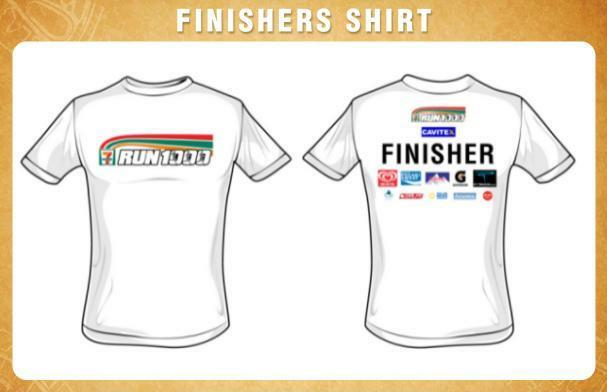 Be part of Run 1000! 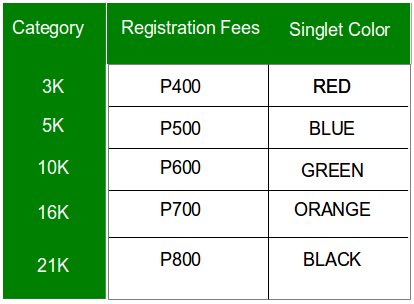 To pay the Regiatration Fee, take note of the 7-Connect number shown after online registration and pay at any 7-Eleven store. 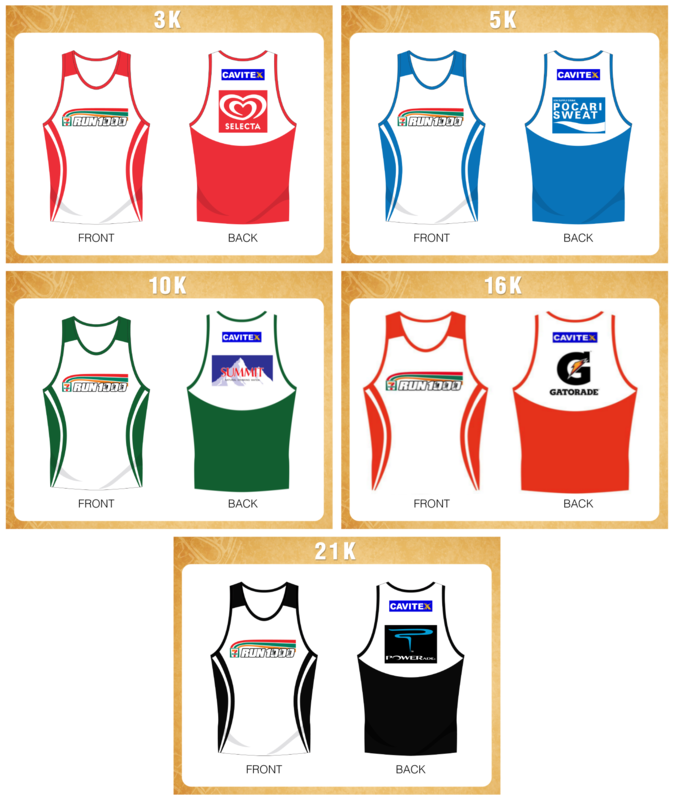 Race kits will be available starting January 5, 2014. Race kits will be delivered to the store where the participant paid. To claim race kits, present the registration receipt and a valid ID. Parking will be allowed starting 3am. Go to the EXPO where baggage and assembly area will be. The entrance is via Bradco. Participants should arrive based on their gun start. For example, those whose gun start is 430am, please be there before 4am. There are 2 paid parking areas along Bradco, the main entrance road of Aseana. One is near DFA, across from SNR. The other paid parking lot is along Bradco going toward the race grounds. Cars won’t be allowed beyond the barricades after the said parking lot, but in case it’s full, participants will be able to make a u-turn. There will be an info tent and sponsors’ booths in the race area. Just follow Bradco and it will turn into Diokno where you will find the baggage tent. For questions, comments or concerns, please send it to run711@7-eleven.com.ph. 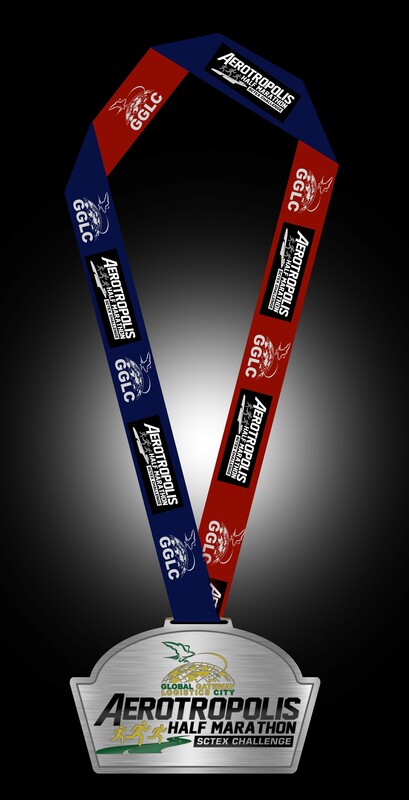 The inaugural GGLC Aerotropolis Half Marathon aims to be the premier running event in Central Luzon by providing a unique and unforgettable experience to participants. 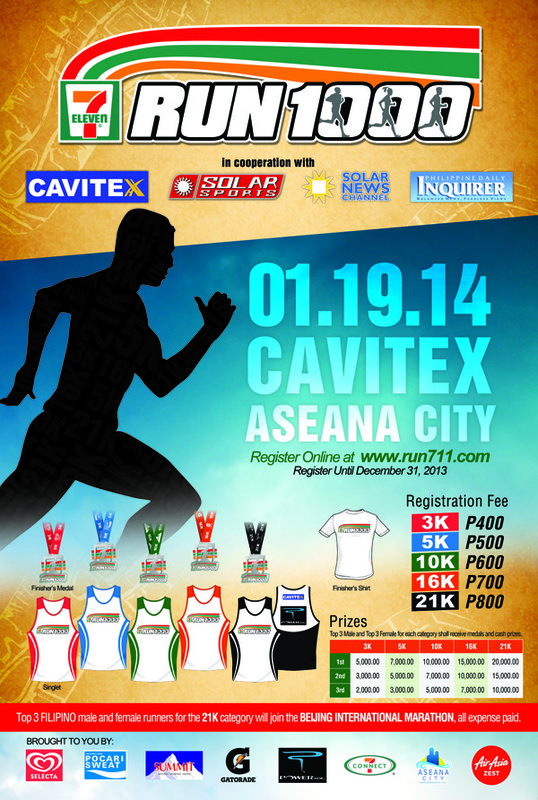 This will be the first Running event to be held on the SCTEX Expressway. The event targets to attract over 2,000 participants. Race Organizer: Hubble Multisport Inc. Present confirmation email (for online registrants) or acknowledgement receipt (for offline registrants). Bring valid ID for verification purposes. Sign Waiver and Acknowledgment Form. On claiming kits on someone’s behalf, kindly bring Authorization Letter and Valid ID from the participant and the person claiming the kit. There will be adequate hydration, nutrition and medical support along the entire length of the course. There will be periodic entertainment stations along the course to motivate and encourage participants to the finish. 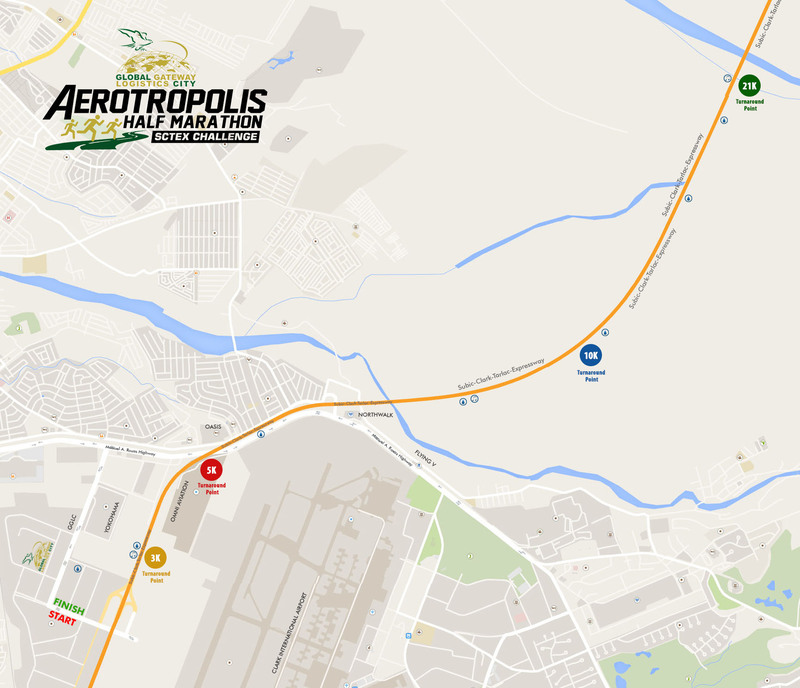 CLARK FREEPORT – Global Gateway Logistic City (GGLC) will host the very first GGLC Aerotropolis Half Marathon dubbed as “SCTEX Challenge: Run Beyond Your Limits”. 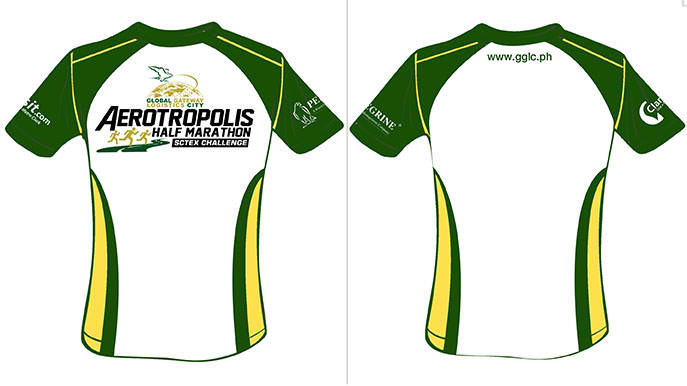 The Half Marathon will start at the GGLC grounds extending to the Subic-Clark-Tarlac Expressway (SCTEX) on January 19, 2014. 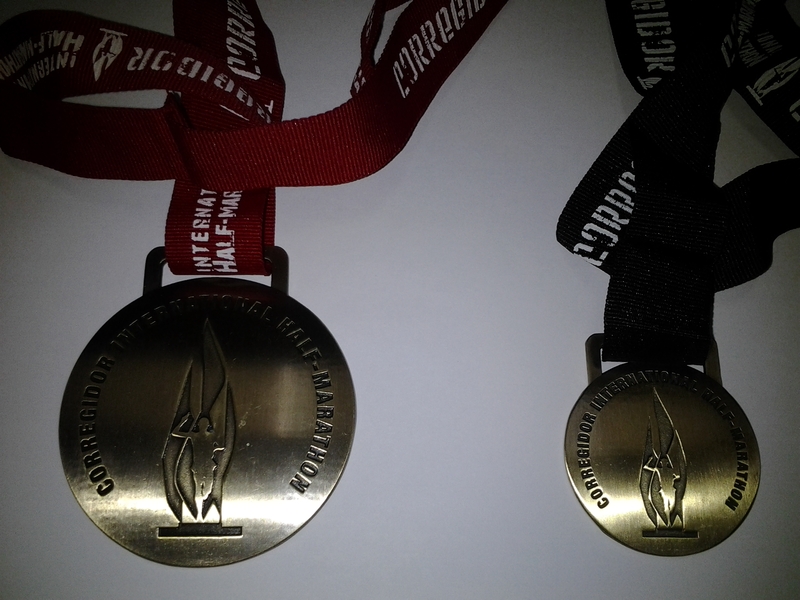 An estimated 2000 participants will join the marathon composed of 3km, 5km, 10km and 21km distances. 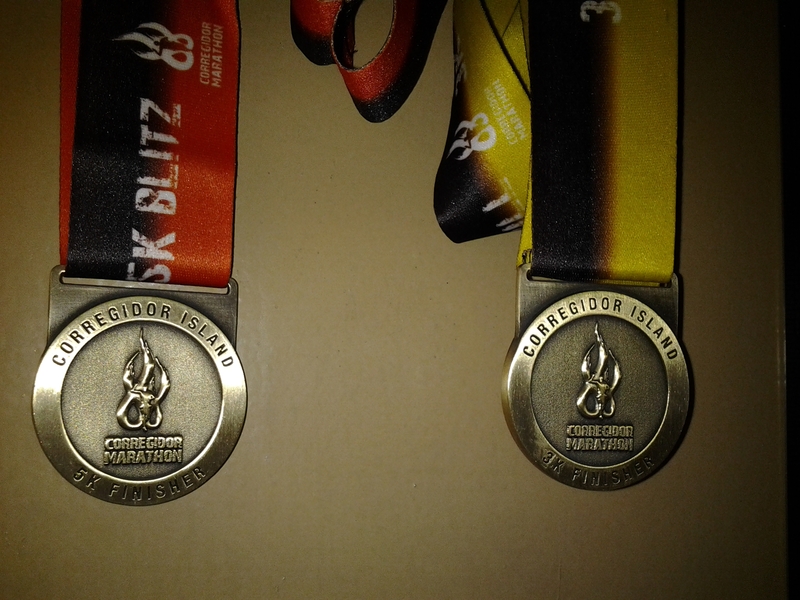 To know more about the run, visit http://www.clarkisit.com/aerotropolishalfmarathon. 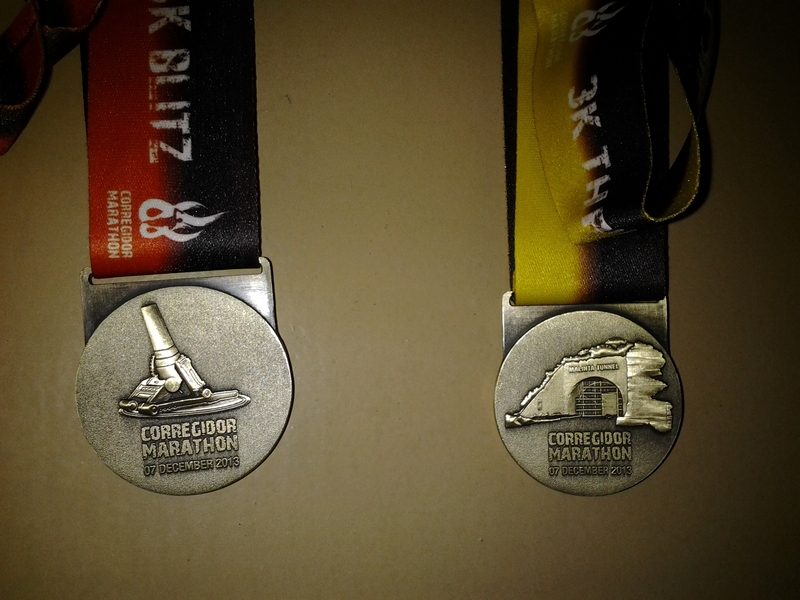 As an early bird promo (until November 30, 2013) registration fees for 21km, 10km, 5km and 3km are as follows: P950.00, P650.00, P550.00, and P400.00 respectively. And for the regular rates (December 1, 2013 to December 31, 2013) registration fees for 21km, 10km, 5km and 3km are as follows: P1,000.00, P700.00, P600.00, and P450.00 respectively. For more details, please contact +63 920-961-6758 or email hubblemultisport@gmail.com. Global Gateway Logistics City is the Philippines’ very first Aerotropolis, an urban plan in which the layout, infrastructure, and economy is centered around an airport, existing as an airport city. The 177-hectare master planned mixed use aviation oriented logistics and business center of excellence approximately $3-Billion worth of investment at full build-out. It is a perfect blend of modern, state-of-the-art offices and commercial spaces to highly efficient warehousing and light industrial facilities with its four zones: LOGISTICS PARK, BUSINESS PARK, AERO PARK and TOWN CENTER. Powered by Cisco® Smart+Connected Communities blueprint, making the new aerotropolis one of the most technologically advanced communities in the country. Hubble Multisport was formed in 2011 with the aim of promoting an active and healthy lifestyle through organizing various running and endurance events like cycling, swimming, duathlon, aquathlon and triathlons. Its five directors are members of the prominent TriClark Triathlon Team. The company is well-connected through its network that includes local running groups, local cyclists and multisport teams all over the Philippines. Hubble Multisport has been organizing races since 2011 and its directors have been joining this type of events for the past 8 years.